The name ‘Cavapoo’ is given to a cross between a Cavalier King Charles Spaniel and a Miniature Poodle (so is not a breed in the accepted sense). It is a small (but not a toy) dog and will have a variety of coat types and colour. The offspring of such parents is known as an F1 cross and may have the benefit of heterosis (or ‘hybrid vigor’) If two Cavapoos are mated together, this is known as an F2. An F2 bred to an F2 will result in F3, and so on. If an F1 is bred back to either parent breed it is an F1B. 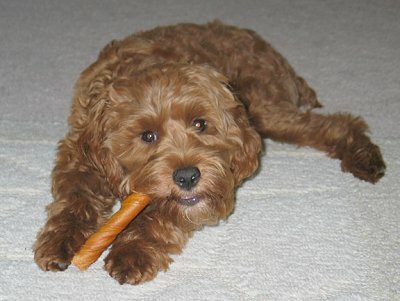 Temperament will vary, but typically, if well socialised as puppies, the Cavapoo will be a good natured pet. Frequent and regular grooming is essential. 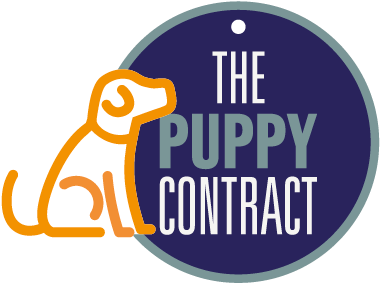 There is the potential for owners to be less likely to be allergic to these dogs, but zero or low allergy is not guaranteed even within the same litter. 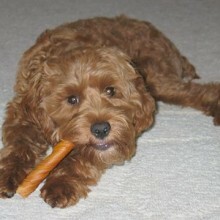 The Cavapoo’s coat can become tangled and matted if left ungroomed and could lead to skin problems. Heart Scheme (CKCS) dogs should only be bred if no heart murmur at two and a half years and grandparents free from murmur at five years. 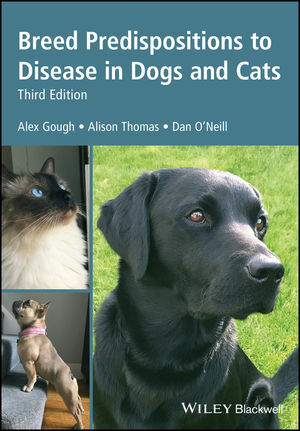 Check other diseases in both parent breeds.